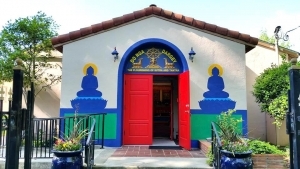 As of March 1, 2015, Lion’s Roar has a NEW home – Do Nga Dargey Temple, which means Sutra and Tantra Flourishing. We offer teachings in both the Shrine Room and the Community Room in the back. It’s a very exciting time! Come check out all the new changes.